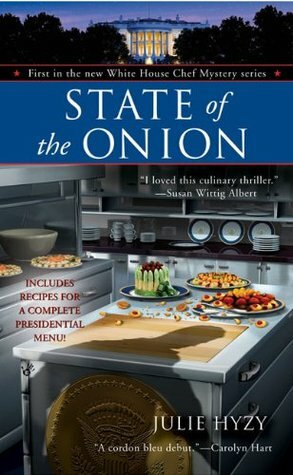 Well, the inauguration has happened, and that made me think about a White House-themed cozy mystery series which starts with the book State of the Onion by Julie Hyzy. This series follows White House chef Olivia Paras who stumbles across a murder and a threat to national security. She spends the novel trying to figure out what is really going on while avoiding sharing too much with her secret service boyfriend. And, to make the stakes even higher, she’s in the running to become the next head chef, so she’s trying to make a good impression with the First Lady in order to finally snag the job. This was a really fun read, and I’m delighted that the next few books which I’ve also read were just as fun. I’m really enjoying this series. In this first book especially, there is even more action and adventure than in the typical cozy mystery. It was a fun romp that is sure to charm mystery lovers. You don’t have to love politics or cooking to enjoy this one!